I signed up for the Online Class Creative Chemistry 102 which started Monday this week. 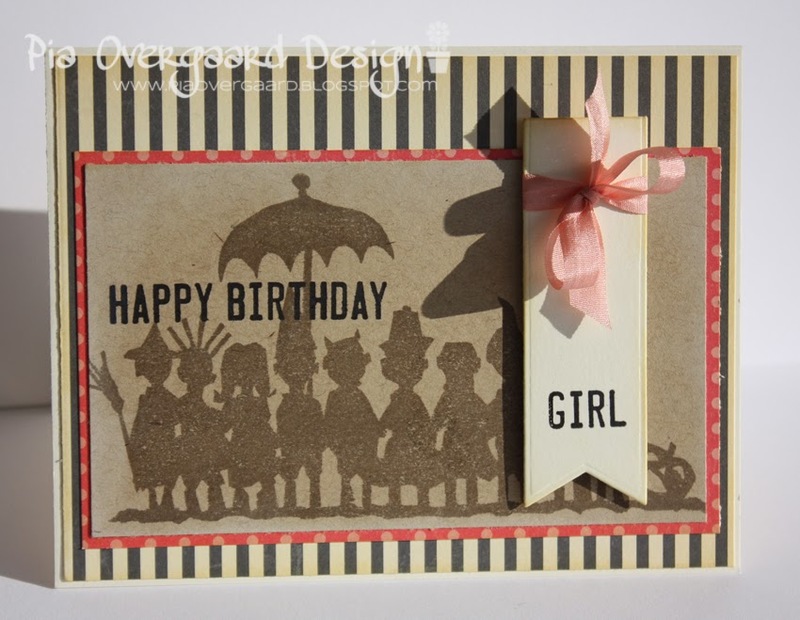 I loved last year's 101, so naturally I had to sign up for the 102 with the fabulous Tim Holtz. I was in Copenhagen (far away from my scrapdesk) for the first 2 days - so I am running a bit behind with the classes and trying out the different techniques! 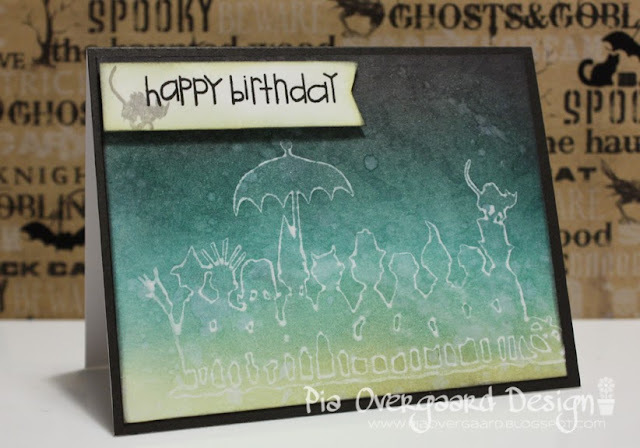 Today I am sharing a card using a technique from day1 - stamping resist. 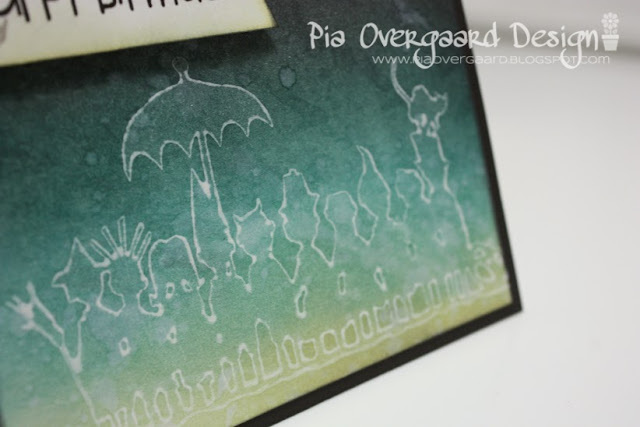 Stamping with distress paint - love the mat look! I chose the wonderful Trick & Treaters stamp which is actually a solid stamp (see the last card (from last year) - but somehow I applied the paint in such a way that I ended up with an outline image of that stamp (a ghost like look) - and I just love that!! What do you think? After heatsetting I distressed the background using scattered straw, evergreen bough & black soot. I love this outline look so much! Now, I can't wait to try out the other techniques! Are you joining, too?? Thanks for stopping by ! Have a great day/evening! I love the outline. how did you manage it? also love the colours you have used.